Probably for most folks, getting to do a TEDx talk won’t happen the way it did for me. I put it on my bucket list and three weeks later I was asked to do one. 1- Check out TEDx talks in your area. The Internet can be a help here by typing in TEDx and the area or state where you reside. 2- Go to any local TEDx talks to see what it is like and possibly chat with the organizers. Also, talk with some of the presenters and find out how they got on the bill. 3- Find out from the organizers, or online. when they do their event and what is their theme for the next one. It’s important that your message fits their theme. 4- Find out what the process is for applying. I think each TEDx talk group might be different. 5- Follow the rules and apply. 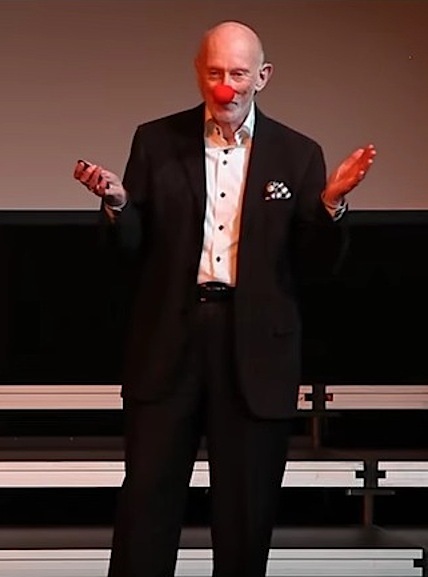 Last year I did a TEDx talk. Being selected to do one was easy. On January 5th, I wrote on my bucket list that I wanted to do a TEDx talk. Near the end of that same month I got an unsolicited email asking if I would like to do a TEDx talk. I still had to be interviewed and selected from other potential speakers but getting to be asked to do one was the easy part. Performing it wasn’t. 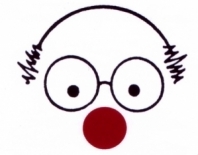 I could have easily put together a talk on the power of humor since I’ve been speaking and writing about therapeutic humor for over twenty-years. But because this was going to be a high school audience, and because of the way the invitation to do the talk came to me so easily, I decided to speak about how our thoughts and intentions create our reality. I put together examples of how that happened over and over in my life along with the five ways the audience can harness their power of intention too. I had never done this talk before and since I would not have any notes, as I usually do in other talks, it was a challenge to memorize it. But I did and was confident that all would go well. That was true until I got on stage to rehearse. The large stage was flooded with bright lights blinding me from seeing anyone in the audience. I’m not accustomed to speaking to a black hole. In the middle of the rehearsal I went totally blank and forgot the rest of my talk. That threw me but it also made me realize that I needed to take charge of the situation. Once I did, all went extremely well. It also taught me five things that I’d like to share with you. After having the negative “black hole” experience during the rehearsal, I asked for the houselights to be turned on during my talk. Unfortunately, the staff forget to do that so after a few minutes, I stopped what I was saying and asked for the audience lights to be turned on. It made all the difference in the world. The two speakers before me sat in the audience and walked up to the stage after their introduction. I found this boring and not in keeping with the uplifting mood I wanted to create for my talk. 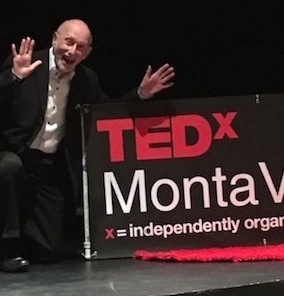 I therefore decided to crouch down and hide behind the large TEDx sign on stage and make my entrance from there. I’m not sure the audience got it but this playful way of entering gave me an inner chuckle that got me started on a lighter note and helped me sustain that energy throughout the talk. After going blank during the rehearsal, my mind was questioning why I ever wanted to do a TEDx talk. It was telling me that I was going to forget what I was going to say and look like a fool. I had to stop this negative fear-based thinking. So, I went outside and meditated, centered myself and repeatedly did positive thoughts affirming that the talk would be a success. And it was. In fact, it was the only talk of the day that got three rounds of spontaneous applause. Sometimes we need to feel the fear and do it anyway. It can be one of the most powerful ways we grow and know that we can overcome our fears and perhaps accomplish greater things than we ever thought possible. I asked the organizers to let me see the video of the talk before they posted it on YouTube. I was glad I did. They did a decent job of editing but it also left a lot to be desired. Among other things, they left in the part where I asked the house lights to be turned on, and, they never showed the slides that the live audience saw that illustrated the points I was making. Some of the things, like those two items, I could correct. Some, like the close-up camera not working at the beginning of the talk, I could not. Nevertheless, I hired a professional to make the changes we could and the results was a much superior product. THOUGHTS OF THE MONTH:I used to have a handle on life, but it broke. Waitress wanted. Must be 18 years old with 20 years of experience. 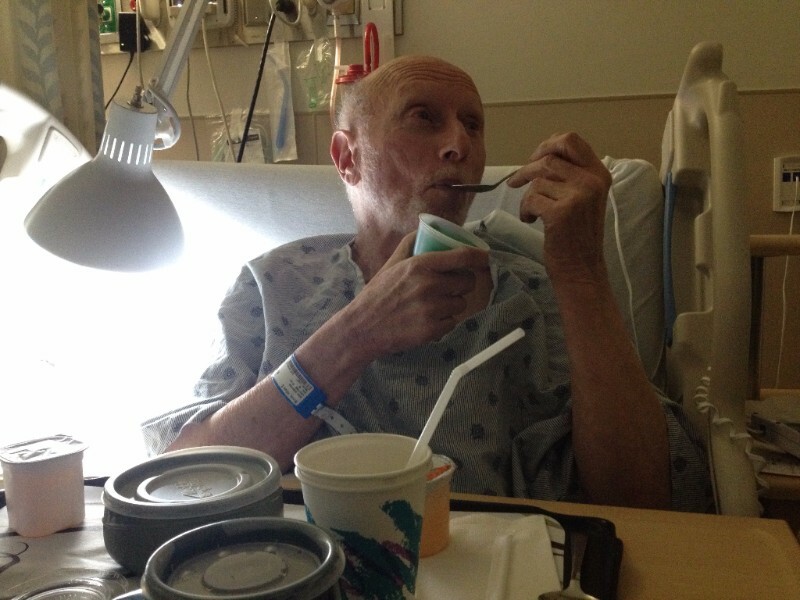 "Five Things I Discovered about Humor While Being in the Hospital, Being in Pain, and Being in Bed"
This year (2016), I’ve decided to send one email each day thanking someone who has enriched my life. . It could be someone who is close to me, like a family member or a friend. It could be someone I have only met once or perhaps admired from afar. It could be someone I have known for a long time or only momentarily. TODAY YOU ARE THAT PERSON. I APPRECIATE YOUR BEING IN MY LIFE. P.S- Please know that there is no hierarchy here. In the past few days, your name and who you are in the world came to mind. When that happened I realized that I wanted to honor and thank you for enriching my life. Everyday in 2016, and yes I may have missed a day or two but in general I was pretty consistent, I sent the email above to someone thanking them for enriching my life. My intent on sending it was to acknowledge those people who have helped me live a rich abundant life. However, as is often the case, I got back more than I gave. One final note: A number of people have asked if they may borrow the idea to use themselves, with their family or with their organization. Of course they, and you, are most welcome to use this idea. Can you image what kind of world we would have if everyone did this simple exercise every day?